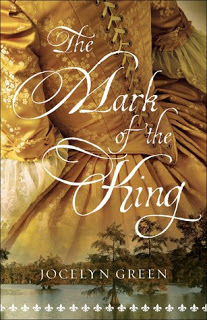 Last spring I read The Mark of the King by Jocelyn Green and loved it, it made my best of 2017 list (click on title to see my review). It had everything I love in a book, between the historical fiction, Christian fiction and romance (that didn't dominate), coming in at 416 pages it was the perfect size. I did what any new fan does and purchased her previous book while waiting for her newest release. A Refuge Assured releases tomorrow and this lucky reader obtained a copy from the publisher, lucky me! French history is not a place I venture that often and I have become picky with books I read revolving around the French Revolution. It's mostly my own ignorance and lack of understand of the French court. With A Refuge Assured while it begins in France the majority of the story takes place in the US but still centers around French history. Thinking she is leaving France behind Vivienne still faces danger in unexpected places. Meeting others that fled overseas should create a common bond but not everyone has the same feelings when it comes to the Revolution. There are those waiting to return to France and others ready to rebuild their lives in the New World. Without going into detail of what takes place here (the synopsis above does a great job there). 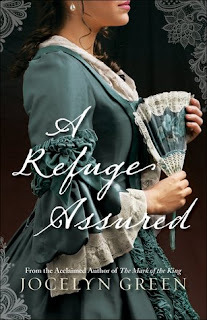 A Refuge Assured is a well written book of new beginnings, heartbreak, forgiveness and determination (just to name a few). The author has cleanly done a ton of research here as I could feel so much of emotional and visual side, her author's notes at the end were wonderful. Definitely a book and author I highly recommend. Thanks to Bethany House (via Netgalley) for an advanced copy in exchange for honest review.